With the growing obsession with thin and large televisions, one thing has suffered immensely: the sound output. 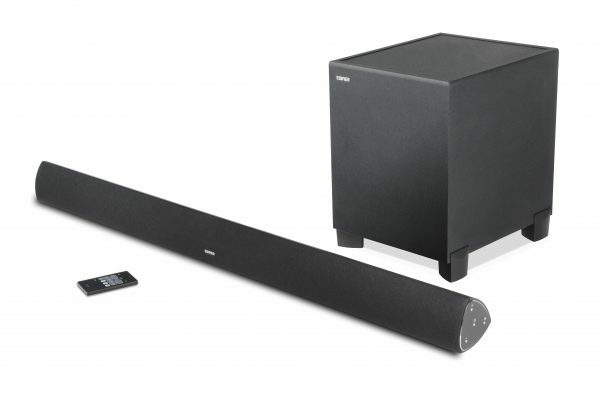 As such, more and more people are turning to soundbars. They come in all shapes and sizes, and are often quite dear when it comes to the cost. The ones that pack in a punch are often huge, and do not go with the decor. Edifier have given us a different spin on things. With a wall mount speaker to give you the full stereo sound, and a subwoofer to place on the floor (or table), you’re good to go, and not taking up that much space either. In our review, we take this reasonably priced solution for a spin. A complete set of accessories to get you going the moment you unbox this. The best bit is the fact that it even comes with a wall mount, meaning you don’t have to go looking for brackets and adapters. The unit comes with a reasonably neutral look, meaning it should fit well in any environment. It won’t be the prettiest thing in your living room, but it shouldn’t clash with anything either. The main speaker is a long bar featuring a string of speakers, while the subwoofer looks exactly as you would expect, a reasonably big box with a massive speaker facing down. The sides feature a set of controls for the Edifier, and they are available via the remote as well. The woofer simply offers an on/off button at the back and a RED LED which allows you to check the connection status. There is a bass adjust knob at the back too. The back features various ports for connections, as well as the location to connect the power cord. Despite the neutral look, the finish is beautiful, and fits well. The brackets are of good quality as well, and should work well to hold the device. 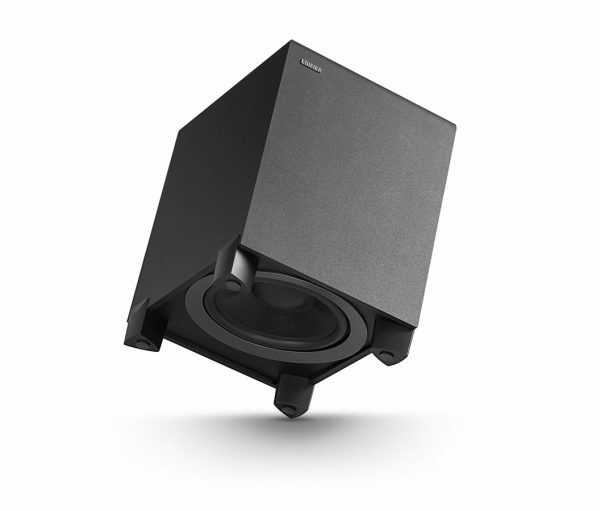 The first time you run the subwoofer, it will need to be paired to the main system. Since I had a review unit, it was already paired. However, doing so is incredibly easy. If the RED LED on the back blinks slowly when you turn it on, it needs to be paired. If it is solid, it is already paired. Using a pin (or a SIM ejector tool, if you like), press the ‘pair’ button on the back of the subwoofer, and the RED LED on the back will blink quickly. Then press and hold the PAIR button on the remote till it goes solid. This lets you know that the system is now paired. As far as other connections go, you just wire them in and you’re good to go. The Bluetooth connection is reasonably simple. You just move over to Bluetooth mode using the input select on the side of the main speaker or the remote, and search for it on your device under Bluetooth devices. Once the Edifier B7 shows up, hit connect and you’re good to go. Once you have paired, this is rather easy to use. Choose your input, and that is all you really need to do. So, it looks okay, packs in all the needed accessories, and is reasonably priced. But how well does it sound? Our test includes listening to the soundtrack of 2001: A Space Odyssey, and a mixture of various rock and pop songs that cover the range of acoustics we’re interested in. The speakers pack in quite a punch, and the detail available is immense. The remote allows you to adjust between Music, Movie and News (people talking? ), and it does not disappoint. 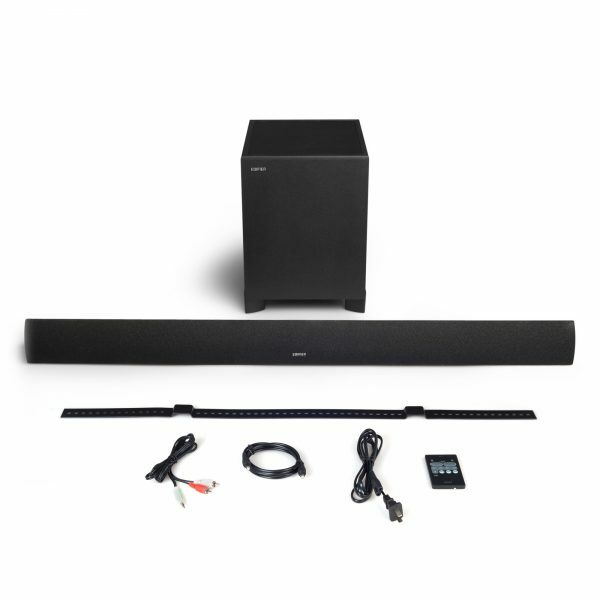 The subwoofer definitely adds something that is missing from your usual set of speakers, and if you are the kind of person who likes his action movie, you are in for a treat. 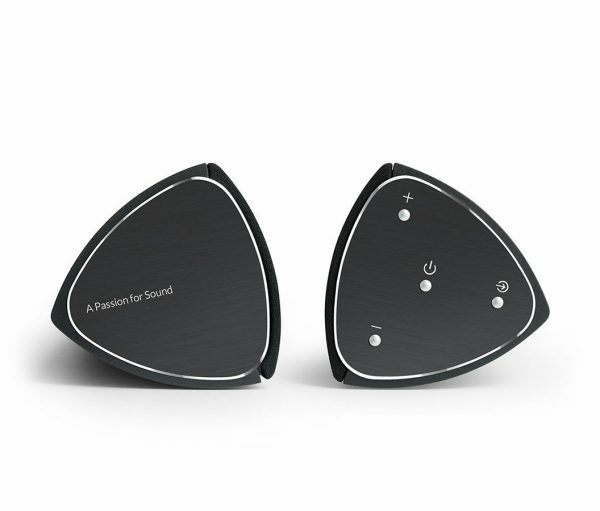 Every crash, every slice, every punch and every screech will be there for you to enjoy, and thanks to the subwoofer, feel! The best part of trying this was out to be able to feel and listen to the music in the whole house, when at an appropriate volume. I played this upstairs while I had lunch downstairs, and the sound just flows. It retails for £249, and can be bought from various online retailers, including Amazon. A complete solution offered at a very great price. Can’t find fault in it! Next story Will self-driving cars really be the future of driving?